Click here to view the AirServer FAQ page. Click here to view updates and user information. The AirServer Connect 4K UHD uses a custom, Linux based AirServer OS that is capable of tying together your favorite media devices and setting up 8+ wireless, simultaneous 4K video mirroring sessions. The frustration involved with streaming video to diﬀerent devices will melt away; let the computing power of the AirServer Connect 4K UHD do all of the heavy lifting! Share music, video, podcasts, photos, and other forms of media across all of your favorite Apple devices and mirror any of those iOS devices’ screens at the touch of a button. Manage your media center’s speakers and screens from any iOS device on the network. The Miracast connection standard, created by the Wi-Fi Alliance, shines by being the best way to connect multiple Windows media devices. Capable of mirroring video content over Wi-Fi, Miracast is truly the easiest way to synchronize displays over multiple Microsoft devices. Synchronize your Android devices with simplistic efficiency with the power of Google Cast and effortlessly share all forms of media. Mirror the display of your handheld devices to your TV screen and show everyone what you’re into! The performance you expect with a tiny footprint that will surprise you. Compact chassis, low wattage, and highly capable. The minimal space used by this unit means you can easily hide it or use the included VESA mount kit to secure it out of sight. Low base price and minimal energy usage assures you the best value possible. You can rest assured that your solution will work for you because it includes a 3 year warranty. The high performance SSD offers superb, quiet operation at high speeds. Get gaming quality streaming with the AirServer Connect 4K UHD solution. 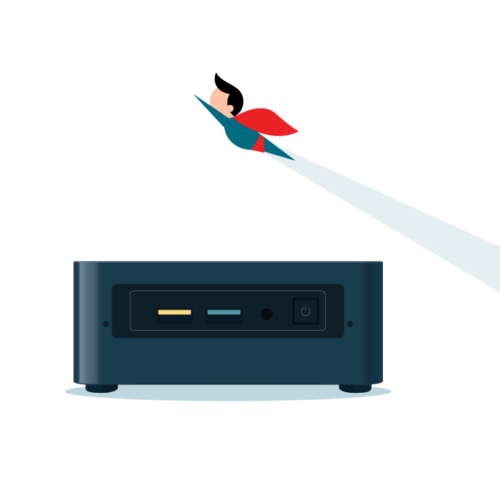 AirServer can stream your device’s games to a larger display in brilliant 4K resolution at 60 FPS. HDMI version 2.0 supporting 4K video at 60Hz and 8-channel digital audio (7.1 surround sound) shared wirelessly across 8 devices at the same time. Using the AirServer Connect 4K UHD’s built-in guest access point, there is no need for complicated network configurations to allow everyone to share with their favorite devices. The easy plug and play setup for your AirServer solution means there’s no need to use any third party software. As soon as the device is powered on, you are on your way to connecting your media devices. Finally, a way to share displays no matter what device you’re using! With the AirServer Connect 4K UHD, there is no problem sharing media between iOS, Android, and Windows devices. The AirServer Connect 4K UHD is capable of simultaneously supporting up to 8 mirroring sessions and displaying multiple smaller screens on a larger display in beautiful 4K video. Demo units may be available for you if you are looking to deploy multiple AirServers.